1: The club was formed in 1883 as Singers FC, changing their name to Coventry City 15 years later. 2: Coventry City moved to Highfield Road in 1899. This ground suffered a bombing by the Luftwaffe during the second world war and turnstiles and other debris were found 500 metres away such was the strength of the bomb. A further fire in 1968 saw the rebuilding of the main stand completed in just a few months, this a year after the ground's record attendance of 51,455 came in a decider for the 2nd Division title. The ground became the first UK stadium to be all-seater before it hosted it's last game in 2005, as Coventry beat Derby County 6-2. 3: Prior to moving to Highfield Road, the club played at Dowell Field and Stoke Road. 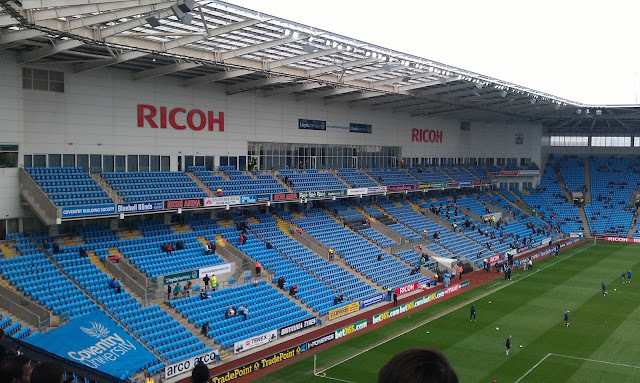 In 2005, they moved to the 32,609 capacity Ricoh Arena. 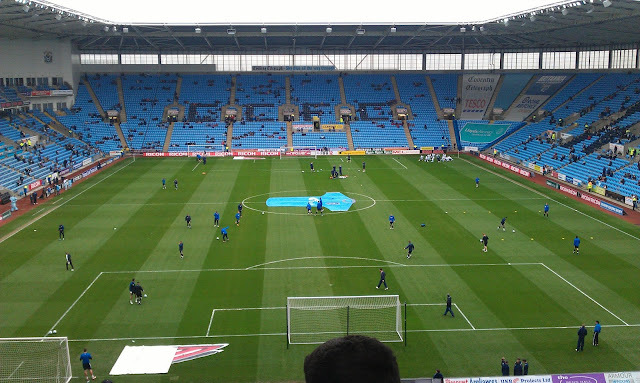 Due to a rent dispute involving club owners SISU and ground owners Arena Coventry, the team spent the 2013/14 season groundsharing 35 miles away at Northampton Town's Sixfields ground. 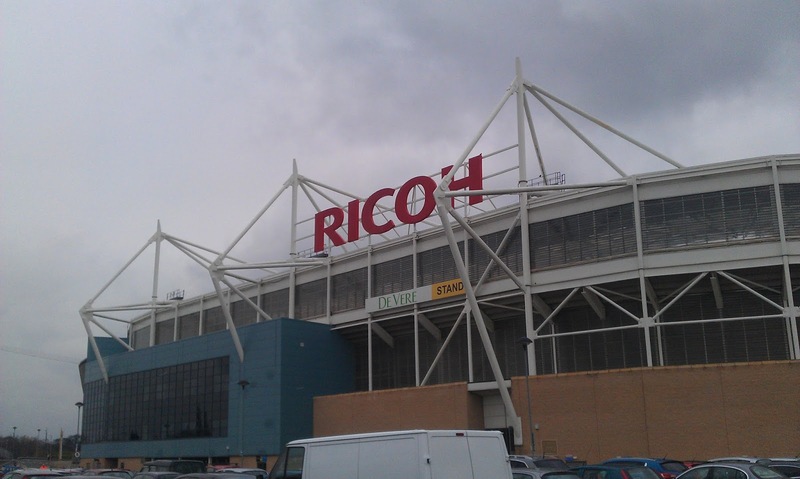 They returned in August 2014, but their future at the stadium remains uncertain, with the lease soon to expire. 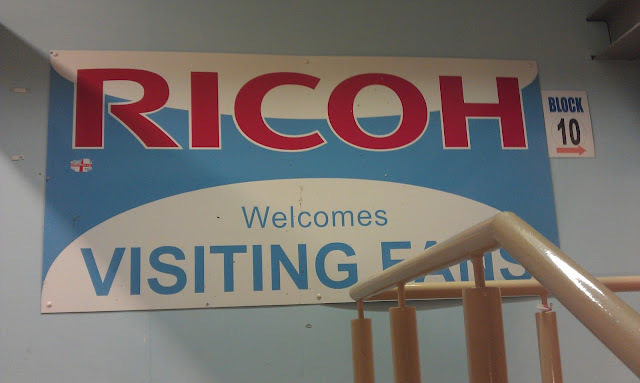 Other sites have been explored, including the Butts Park Arena, currently home to Coventry Rugby Club and breakaway fans club Coventry United. 4: After playing in the Birmingham & Southern Leagues, Coventry City joined the Football League in 1919. They struggled at first and didn't finish in the top half of the table until 1930. From 1967 until 2001, the club enjoyed an unbroken spell in the top flight, the record finish of 6th coming in 1970. Things have declined this century and they are currently in the bottom tier of the Football League for the first time since 1959. 5: The FA Cup was won in 1987, with a 3-2 win over Tottenham Hotspur at Wembley Stadium. 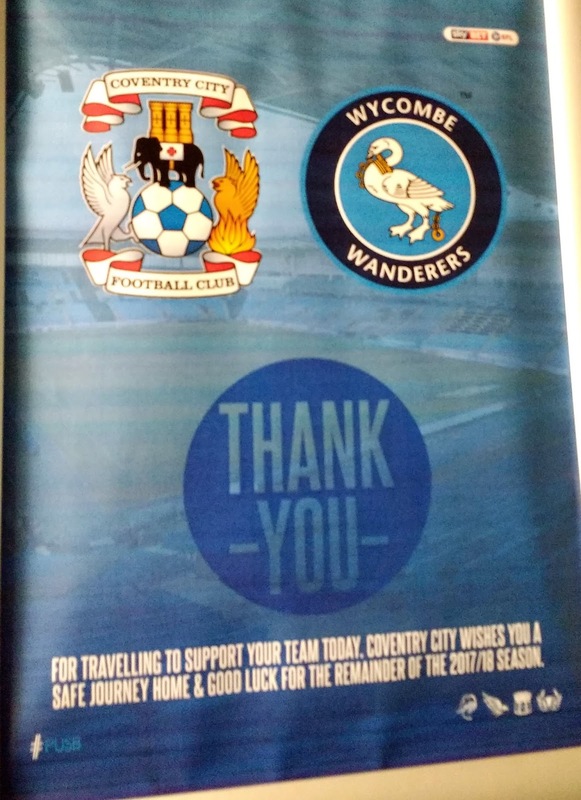 The winner for Coventry was a Spurs own goal and fans set up a fanzine 'Gary Mabbutt's Knee' in its honour. The same year, the clubs youngsters lifted the FA Youth Cup. The keeper for that side, Paul Bastock, is still active in football, playing Wisbech Town at the age of 47 in the United Counties League. 6: Coventry City have reached two League Cup semi-finals - losing to West Ham United in 1981 and Nottingham Forest in 1990. Recent form has not been so good with 6 exits at the first hurdle in the past 7 seasons. 7: The club's sole expedition into Europe came during the 1970/71 season. In the Fairs Cup (the equivalent of the present day Europa League) they beat Bulgarian side Trakia Plovdiv 6-1 on aggregate in the 1st Round. In the 2nd Round, they lost in the away leg at Bayern Munich by the same scoreline, but regained some credibility with a 2-1 win in the home leg. 8: The club's record outgoing and incoming transfer fees came in the year 2000 when they sold Robbie Keane to Inter Milan for £13 million and bought Craig Bellamy from Norwich City for £6.5 million. 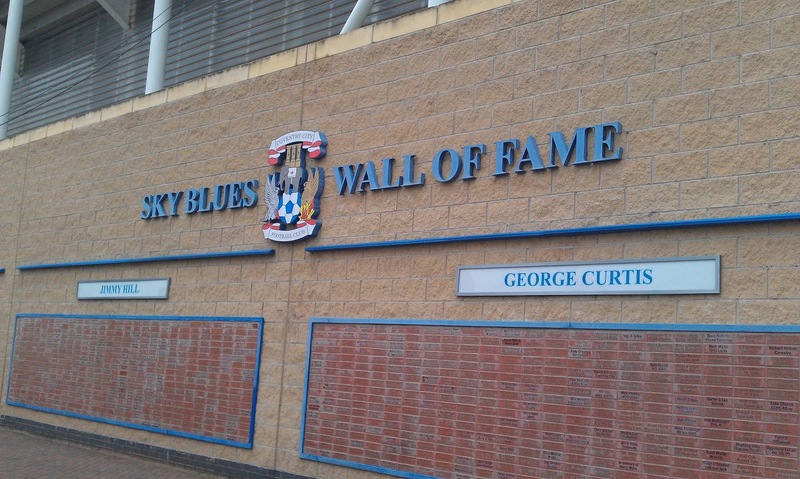 9: The record appearance holder for Coventry City is goalkeeper Steve Ogrizovic with 601 appearances from 1984-2000 whilst the record scorer is Clarrie Bourton who scored 173 goals in a spell lasting from 1931 to 1937. 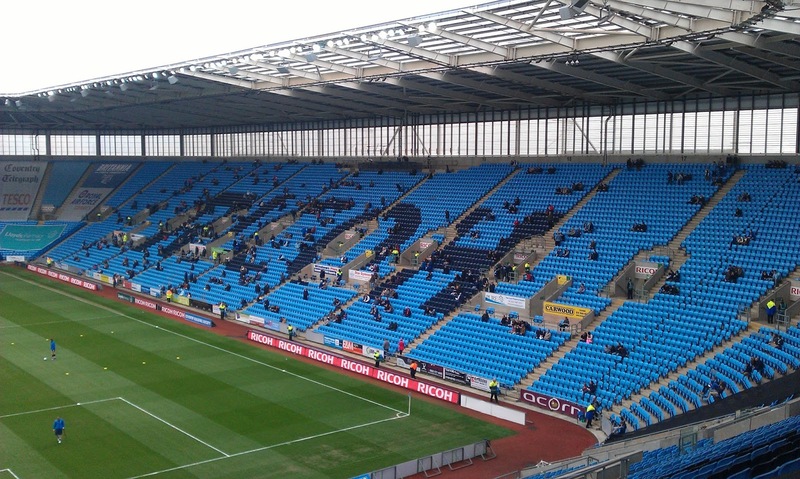 10: Famous Coventry City fans include band 'The Enemy', radio presenter Jon Gaunt, hairy-handed sexist and former Sky presenter Richard Keys, actor Graham Hawley and actress Amanda Redman. I first planned to do this game way back last year, this was a free Saturday for me, as Wycombe had played on Friday, getting a decent point in a 1-1 draw at home to Carlisle. Unusually for a game in the top 2 divisions, I hadn't bought a ticket beforehand, as I was unsure if I would be going with anyone. As it turned out, I was on my own again, but at least it was only a short journey. On the day I was expecting to finish work at 12 and have a bit of a tight journey time, to get up there and get a decent parking space. As it was I finished just after 10 due to wages at work being tight and so I had plenty of time to get ready and take a leisurely drive up the M40, taking care of my fuel economy to help keep my costs down. After a stop at services, I was still up there just after 12 and so had a few hours to kill. 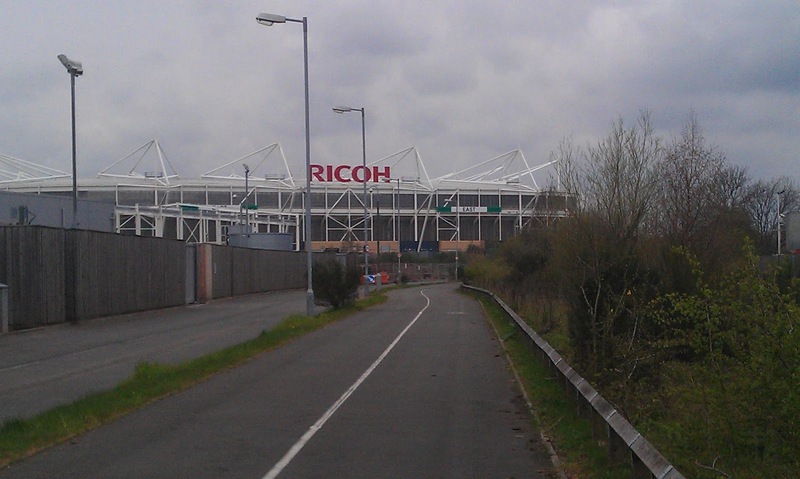 First off I went down to the ground and got some pictures of the outside, before finding out about tickets. 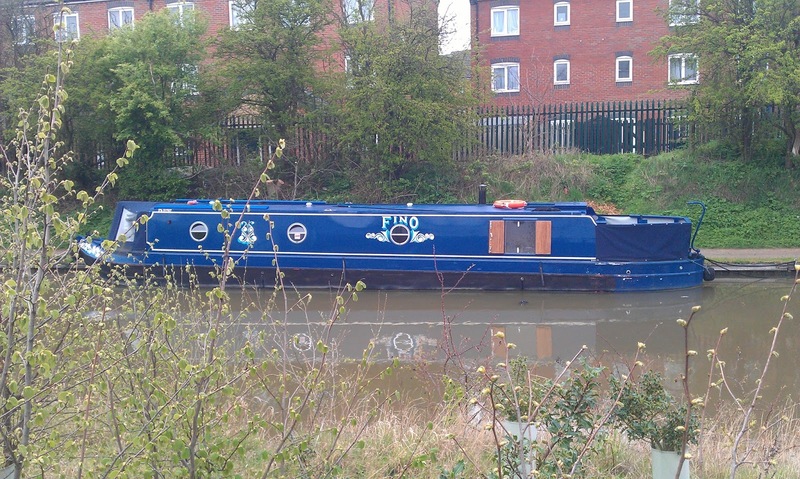 I needn't have bothered as it was pay on the turnstile, so I made my along a canal to the pub and Indian restaurant that I had parked at. First, though I went to a pub for a pint and some of the Sunderland v Spurs game that my Spurs supporting friend Corey was at, but it was so boring I left midway through the first half. As it turned out it finished 0-0 and must have been a long journey home for the poor lad, By that time I was feeling hungry and so made my way back to the Indian Resturant for a £6 buffet. After a couple of plates of curry and rice, a plate full of Samosas and Naan Bread, it was getting on for 2 o clock and so I started to walk back towards the ground. After paying £22 to get in (which is one of the cheaper in the Championship) I took my seat right up the back of the stand, from where the view was impressive. After killing the time until kick off by reading the paper and checking my Facebook, it was time for the teams to come out. 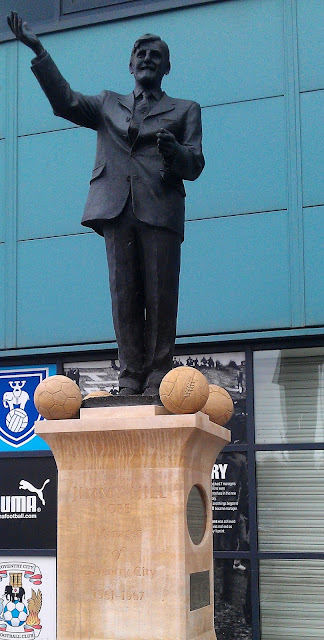 The game was a really entertaining one, which was what I was expecting with Peterborough always playing attacking football under Darren Ferguson. And they took the lead after just 3 minutes. Emile Sinclair, the ex Macclesfield player with an outstanding strike. Peterborough continued to push forward and should have had more as they dominated the opening period. But against the run of play Coventry equalised with their first real chance of the game, Cody McDonald heading in from a corner. Coventry then started to get some chances in, but it was about equal coming into halftime when Posh's Lee Tomlin tripped a Coventry player in the box and Gary McSheffrey put away the resulting penalty to give the home side the lead at the interval. Coventry taking the lead seemed to knock the stuffing out of Peterborough and the Sky Blues started the second half looking to extend their lead. Eventually, the game fell a bit flat and it wasn't until the final 20 minutes until the chances started to come again. And it was Emile Sinclair who scored again and got a deserved equaliser for Boro. In the end after an entertaining game, the draw was the right result. After the game, it was a short walk back to the car and an easy getaway. 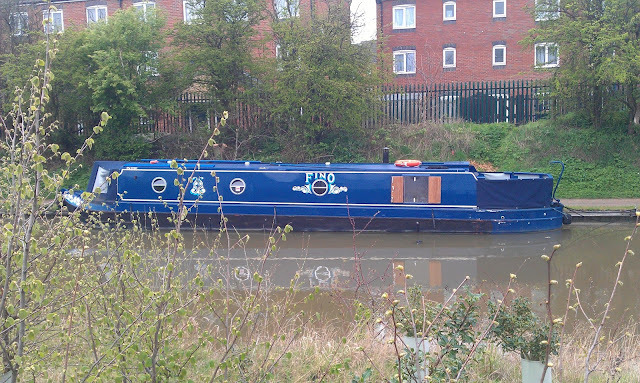 After a trouble-free journey, stopping off to get petrol on the way, I was back home well before 7PM. 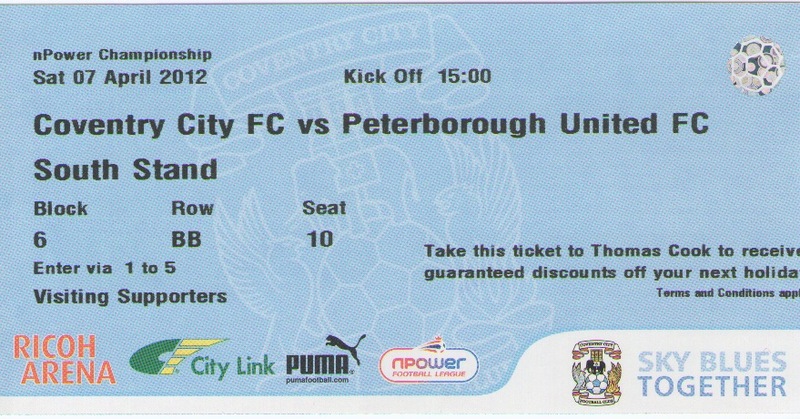 When the fixtures came out in June, Coventry City away was always one of the fixtures I was looking for. Whilst doing my research for pubs on other groundhops, I noticed that the city had a number of enticing watering holes on offer, especially for a purveyor of real cider like me. Therefore, I was looking to do the trip on the train and was really pleased when the fixture was announced as being on a Saturday, even though it was a tad too close to Christmas for my liking. My joy was short-lived, however, as the game was moved to the Friday. I was disappointed at my club's capitulation to their demands, but the rearrangement was down to a familiar foe. 'London' Wasps Rugby Club had rocked up at Wycombe in 2002 and enjoyed a successful start in Buckinghamshire, with attendances up over 30%. 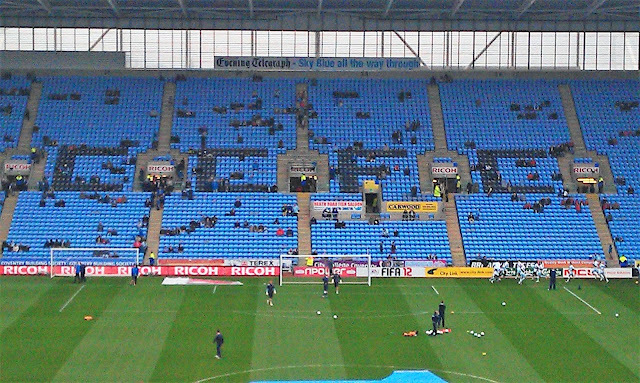 Though it wasn't the sole reason, Wycombe's attendances took an alarming nosedive. For the 2001/02 season, our average attendance was a very healthy 6,681. By the time the rugby club left, the attendance had almost halved to 3,680. As well as taking many of fans, we nearly lost our ground thanks to the owner of both clubs wanting to move to an oversized council-owned facility. We made next to nothing from the rugby club lodging with us and by the time the former owner and rugby club left, we were in huge debt, many of them owed to our former owner, who he himself had racked up during his ownership. Fortunately, things have changed for the better, thanks to fan ownership. Over £2m in player sales and severe belt-tightening saw us back on an even keel, but this latest move had ruined any chances of a trip on the train and a pre-match pub crawl. The trains packed up far too early for me to be able to make it home from the game. I was still keen to go to the game though, and as my Dad was going on the Independent Supporters Club coach, I decided to go with him. 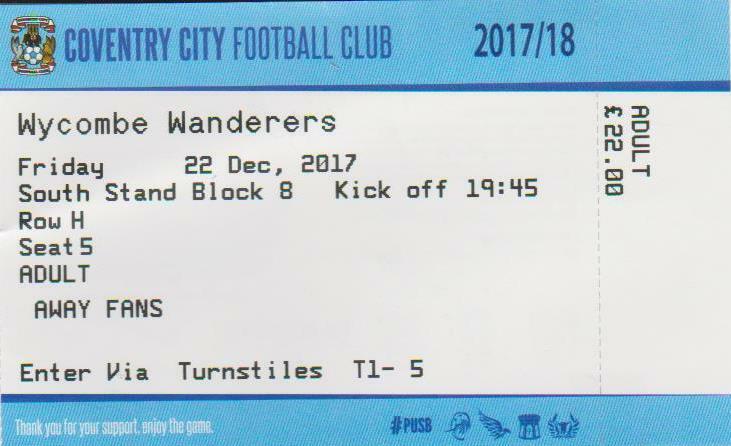 Tickets were bought and coach was booked, and as the game would signal the start of 4 days off for Christmas, I was really looking forward to it. I gave my blog a spruce up, ready to re-release it once the latest instalment had been completed. On the day of the game, it was the busiest day of the year at work, but even so, I got out at 1.30. Going home was busy too, with it taking half an hour to get back, double the usual journey time. I was in good spirits though, it was the start of four days off for me, a rare treat for retail workers. I got back at 2 with no time for lunch. Instead, I got my things together, got changed and left at 2.20 with my Dad. We got the coach at 2.30 and after a couple of pickups in town, we were on our way. The Independents are a pretty good way to travel - you stop at a pub rather than a service station and you get to order your meal on the coach. 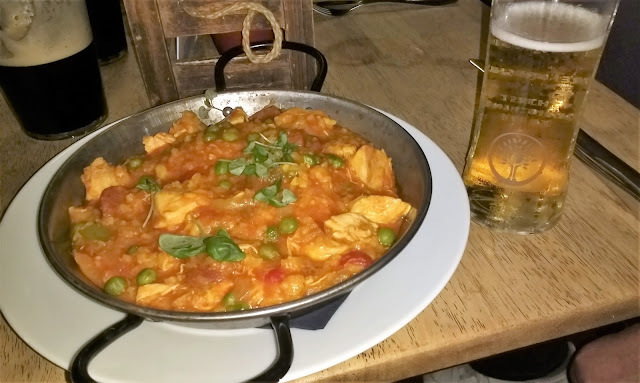 In this case, I had myself a chicken and chorizo paella which came in at £9.50. The only downside is that they rarely stop at a pub with decent cider, as these places are few and far between. Even so, I was looking forward to my first pint of the weekend after a busy week. We got to our pub, The Cape of Good Hope in Warwick at 4.40. They had a reasonable range of cider, albeit bland ones on offer and I started with a Strongbow. I was looking forward to my dinner, but it was a bit tight for space as a load more people had joined our regular group and we had pretty much a full coach. Service was amazing though, nigh on 35 meals served up in 10 minutes and my Paella was decent too. Next up was a bottle of Old Rosie that I bought myself, expensive mind, at £4.80 a bottle, compared to about £1.50 in supermarkets. The supporters club has banned me from posting TripAdvisor reviews due to a couple of cockroach landlords taking umbrage at me posting less than perfect scores. I'd have told them to get stuffed personally, but in this case, the pub gets 4/5 starts, only missing out on the clean sweep due to a lack of bag in box cider. A further pint of Stowford Press was had before we left at 6.30. We got to the ground at 7.20, having a 10-minute walk from the coach to the ground. Wycombe fans had been cordoned off into a tiny area of the stand, despite the top dollar prices charged, but luckily I found a seat. Wycombe were behind on 13 minutes, Doyle lobbing Scott Brown, who really should have positioned himself better. 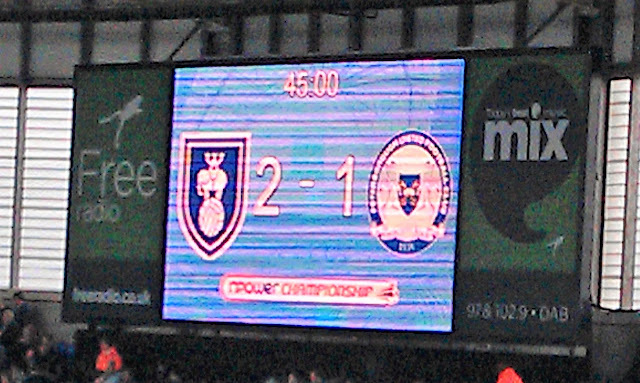 Wycombe were being outplayed and it was no surprise when the lead was doubled. McNulty waltzed through our defence, but it was a good finish on 40 minutes to make it 2-0. Wycombe finally woke up and pulled one back just before halftime, Dan Scarr got his first goal for the club on the half volley to halve the deficit. The second half saw Wycombe improve and they were awarded a penalty’s for a trip on 48 minutes. Jacobson had been poor tonight, especially with his corner delivery, but he made no mistake from the penalty and Wycombe were level. 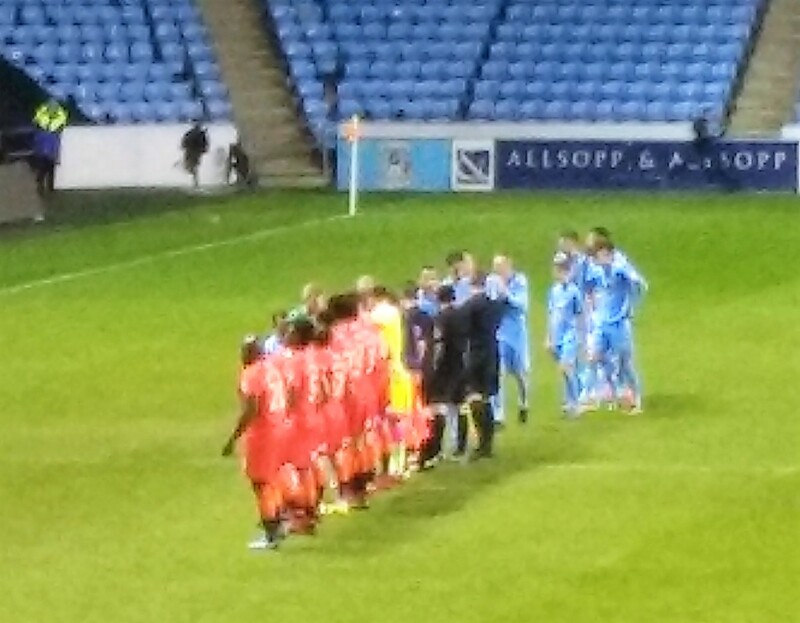 We might have been a tad fortuitous to be level, but on 53 minutes, Coventry got a very soft penalty of their own. McNulty stepped up to get his second, but it was barely inside the area and debatable whether the Coventry man has been impeded. The rest of the game was a story of Ainsworth taking too long to implement the substitutions and Wycombe hoofing it too much when there was a decent surface to play on. 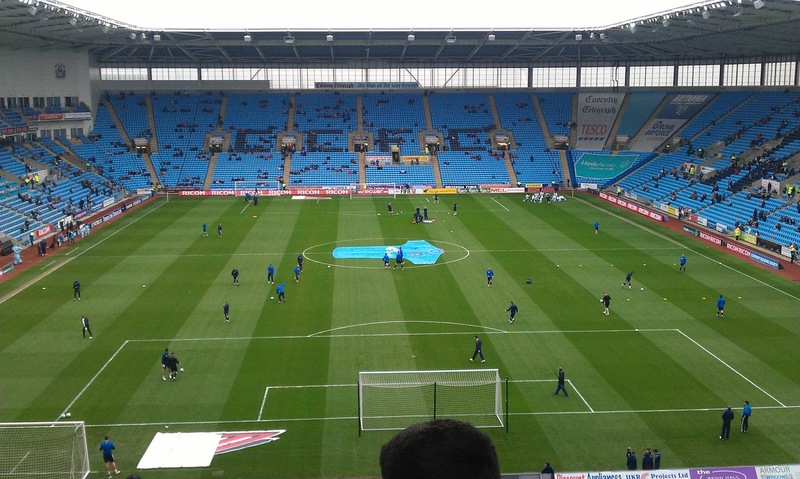 We came close with a late goalmouth scramble, but on the balance of play, Coventry deserved their win. After the game, we got straight on the coach, which was just outside the ground. The police had their dogs out and it was around 15 minutes before we got away. I put my name down for Forest a Green Rovers on New Years Day, possibly against my better judgement if we played like we did for some of the game tonight again. It was a decent trip down the motorway, with us getting back to Wycombe at 11.40. A couple of drop offs later, I was getting dropped off with my Dad at midnight, getting home 5 minutes later. I had a drink or 2 while uploading the additions to my blog and watching TV before going to bed. 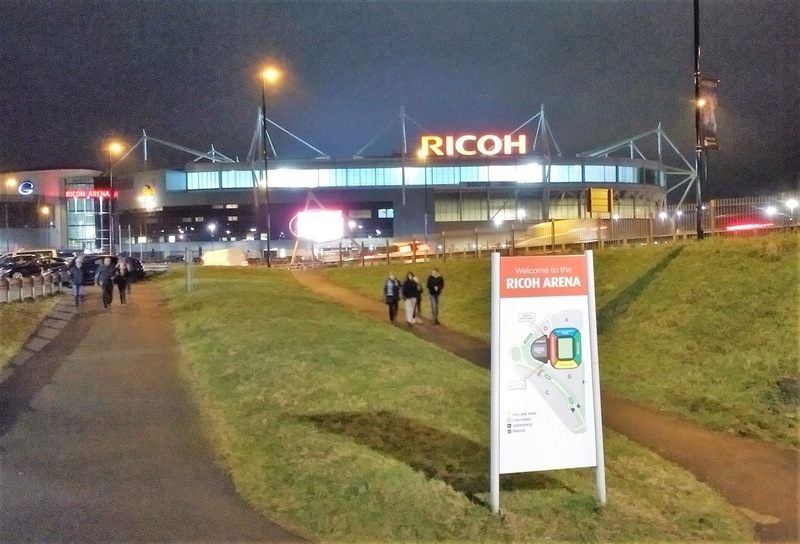 The RICOH ARENA is like many modern stadiums, based on a bowl design. The capacity is 32,500 and that proves more than enough, the stadium rarely being more than half full. The view is decent and legroom OK. At the ground, there is a bar at the casino, which admits both home and away fans, plus the usual overpriced fare in the ground for food. But your best bet is to park up the road from the ground where there is more choice of what to eat and drink. And you don't get caught in traffic at the end of the game either. I parked at the JK English Pub and Indian Restaurant, which offered parking for £3 as well as a good Indian Buffet for £6, alongside a bog standard bar. In addition, there is a pub showing football across the road. 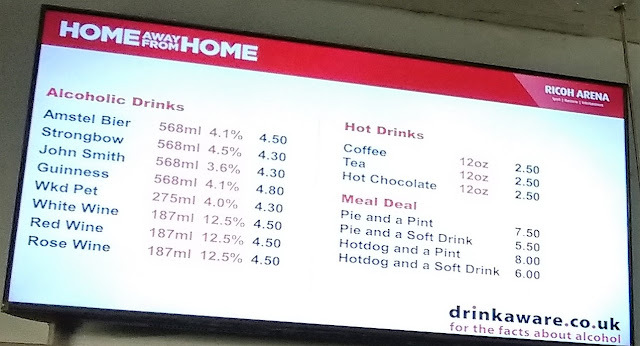 Further afield, the city itself has some great pubs for drinking, plus lots of takeaways too, although you'll need a bus or a taxi to get to the ground.